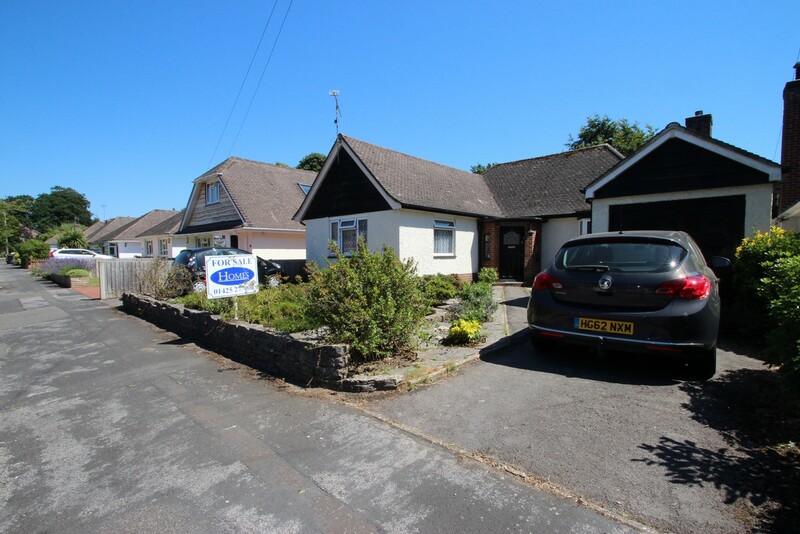 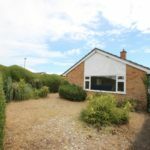 A well presented two bedroom retirement cottage for persons aged 60+, situated on a highly sought-after development in Mudeford, close to the Quay, beach, local shops and bus routes. 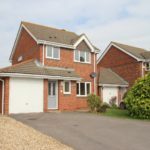 A part glazed UPVC double glazed door leads into a spacious, squared entrance hall. 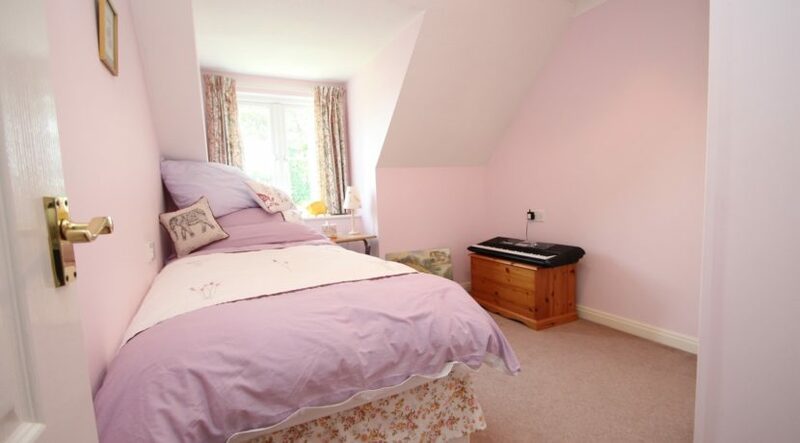 From the hallway, stairs rise up to the first-floor bedrooms, there’s an under stairs storage cupboard, two further storage cupboards with one housing a wall mounted ‘Worcester’ boiler, doors lead from the hall to the living room, dining room and shower room. 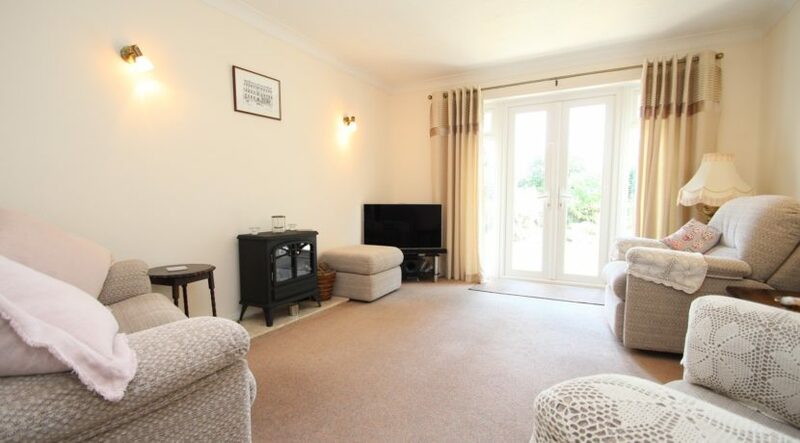 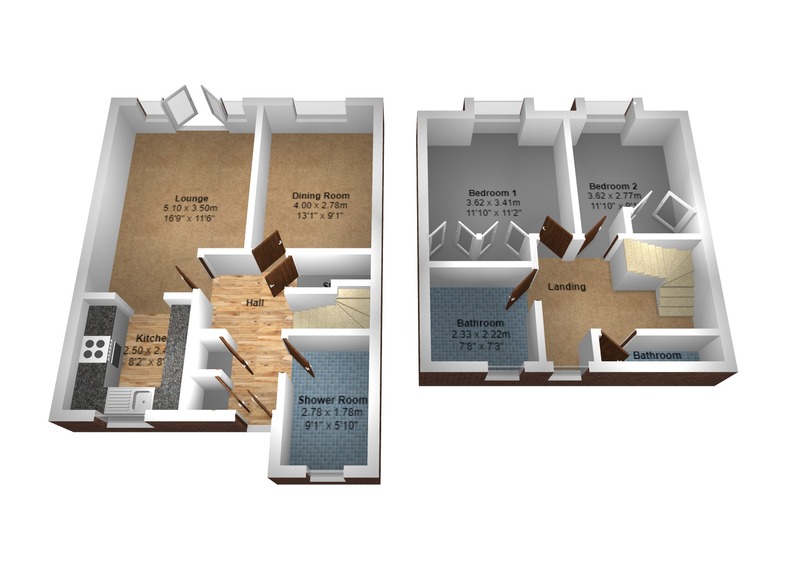 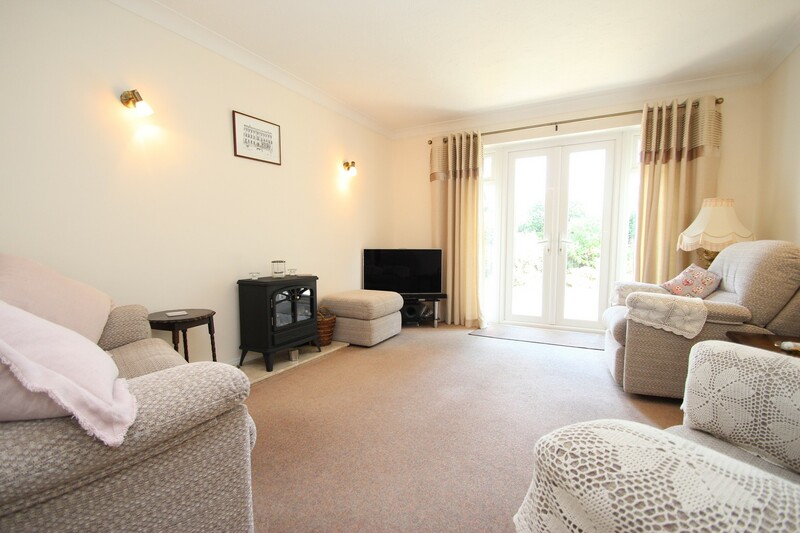 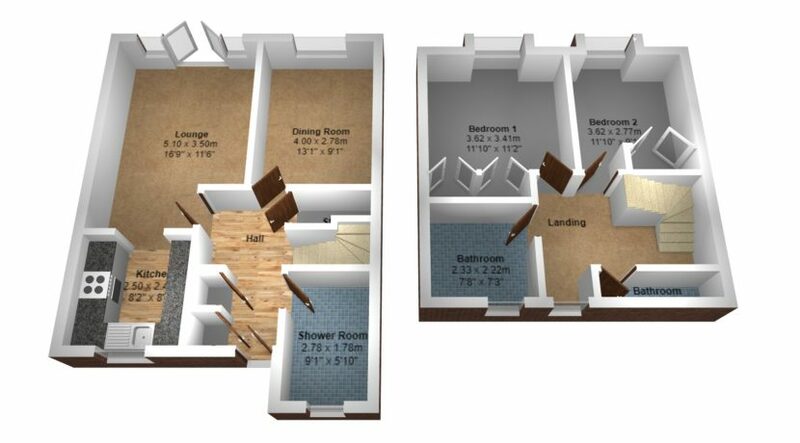 The living room is spacious in size, has access out to the rear patio via double opening, double glazed casement doors. 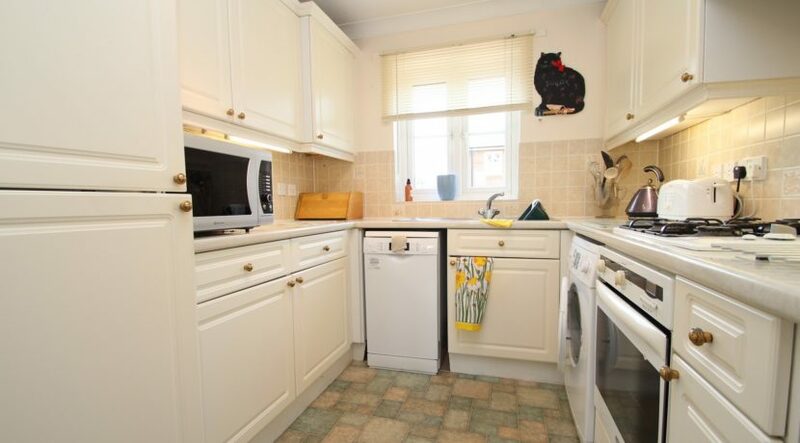 Access to the kitchen is from the living room. 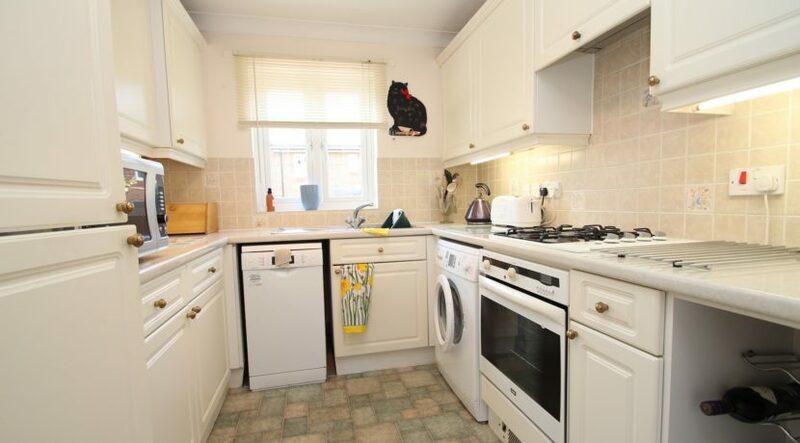 The kitchen overlooks the front aspect and has a good range of wall mounted and floor standing units which are surmounted by roll top work surfaces, there’s an inset one and a half bowl sink unit with mixer taps and a side drainer, built in electric oven, inset 4 burner gas hob with an extractor hood above, space and plumbing for a washing machine and a dishwasher, integrated fridge/freezer. 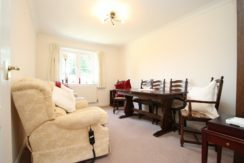 The dining room is of a superb size and overlooks the rear aspect, this room could be used as a double bedroom should the need arise. 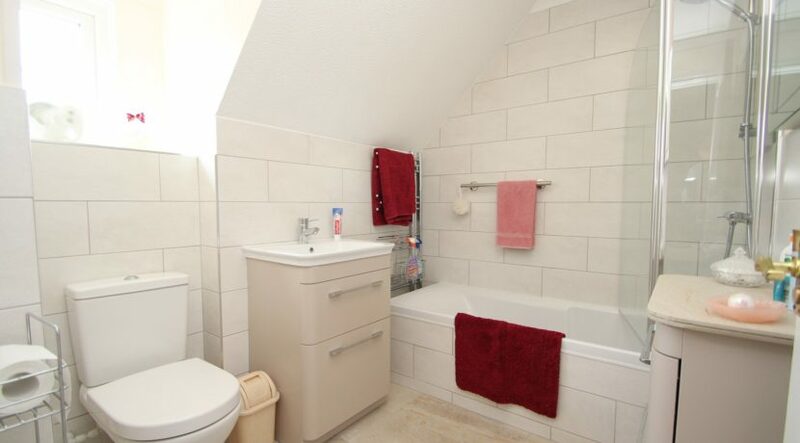 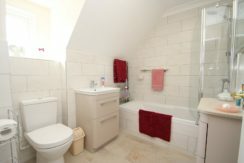 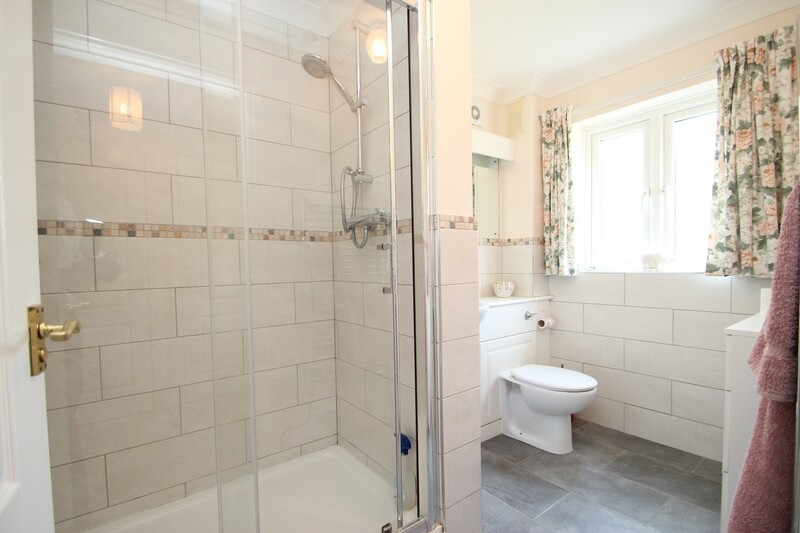 The modern shower room has fully tiled walls, large ‘walk in’ shower cubicle, low flush wc with a concealed cistern and a wash hand basin is mounted into shelving. 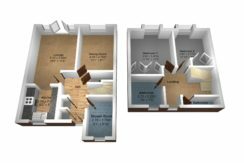 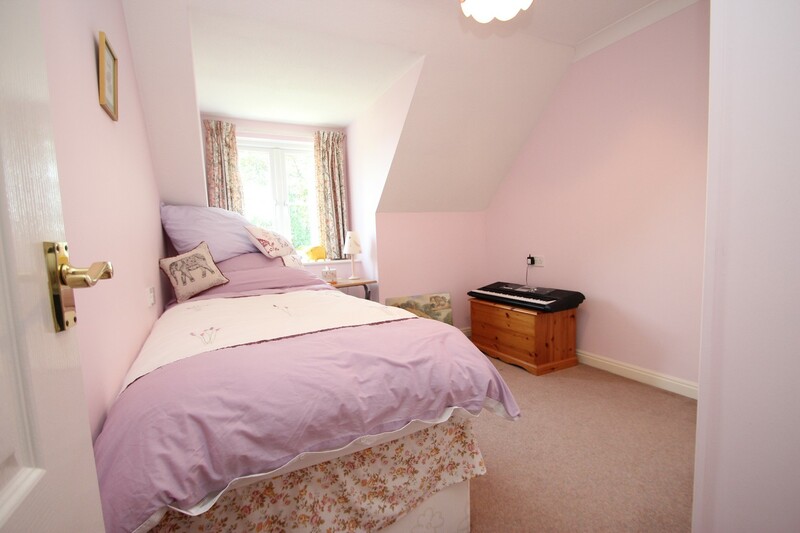 The first floor landing has a hatch up to the loft space, storage cupboard with shelving and heating, doors lead into the bedrooms and bathroom. 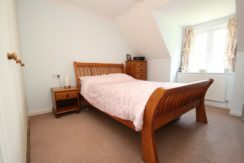 Both of the bedrooms are good size double rooms that overlook the rear elevation and both benefit from built in floor to ceiling wardrobes. 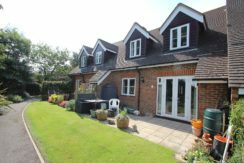 The rear patio enjoys a pleasant outlook over the meticulously kept communal gardens and has a brick built garden store to one side. 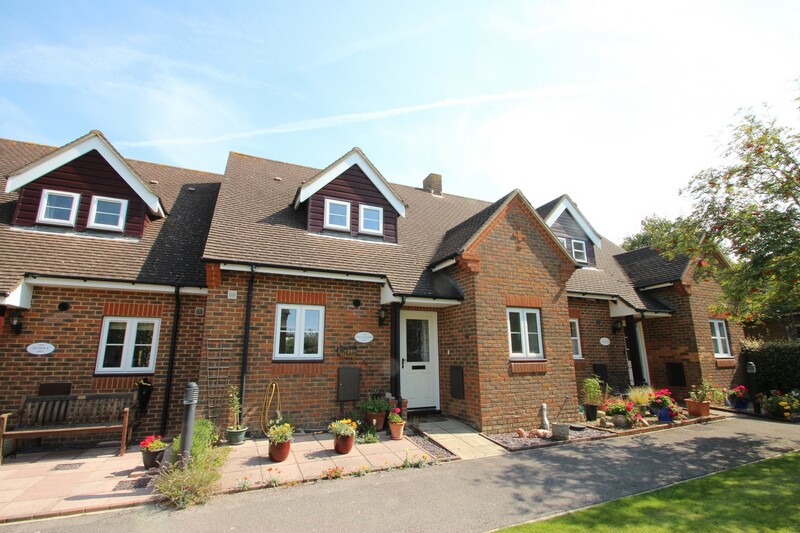 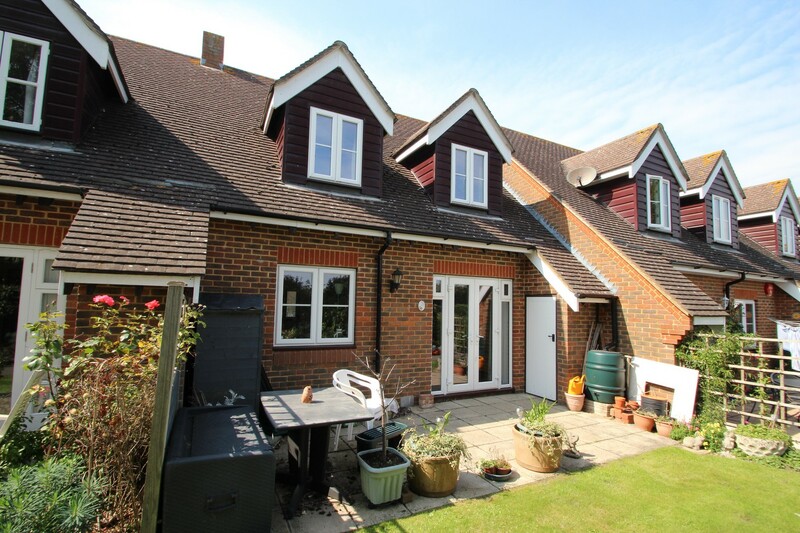 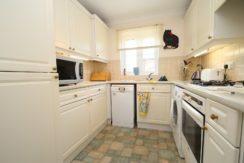 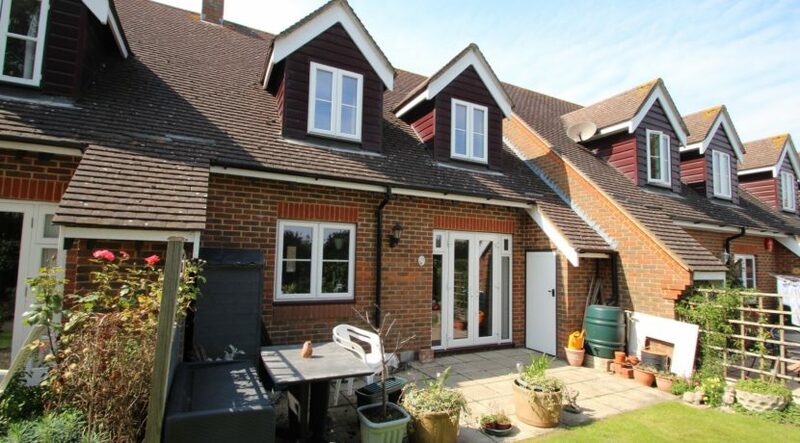 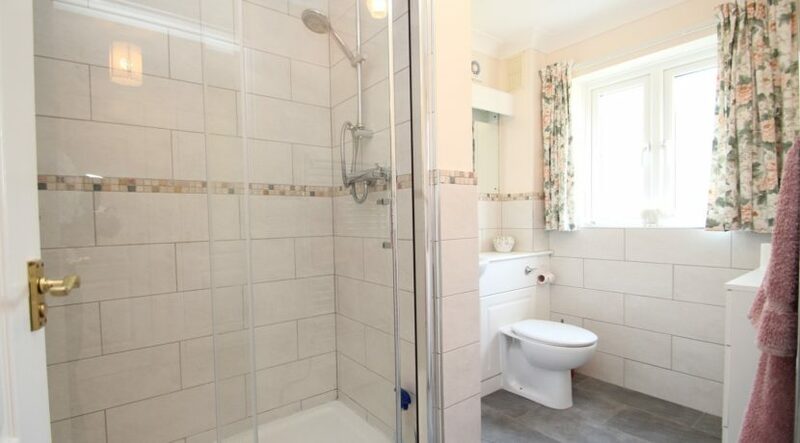 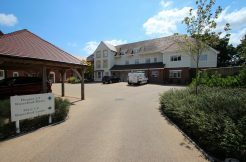 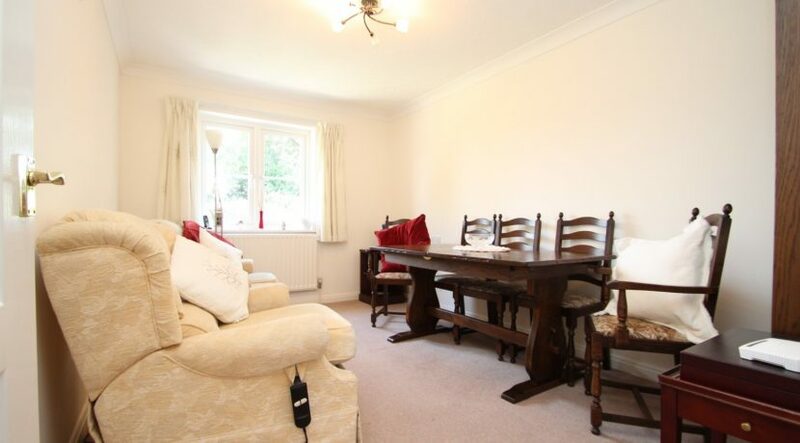 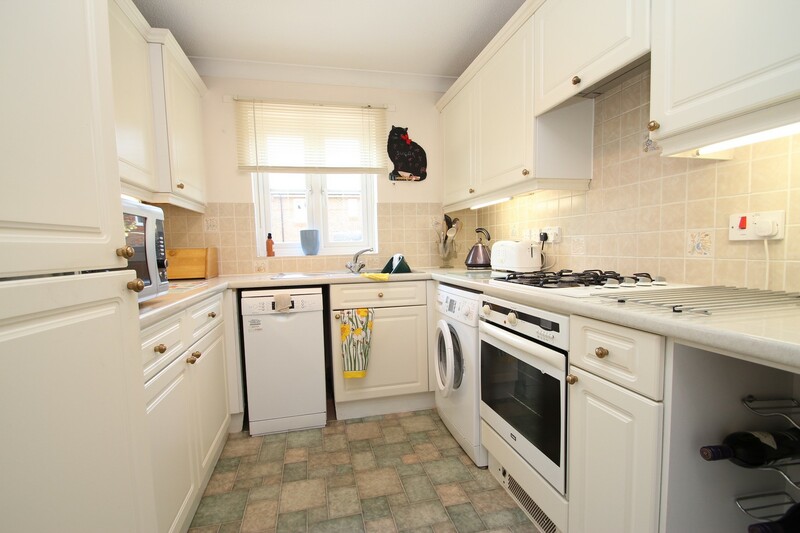 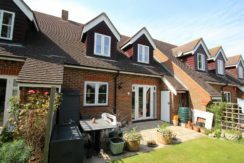 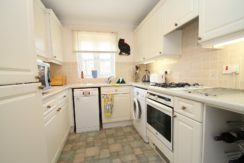 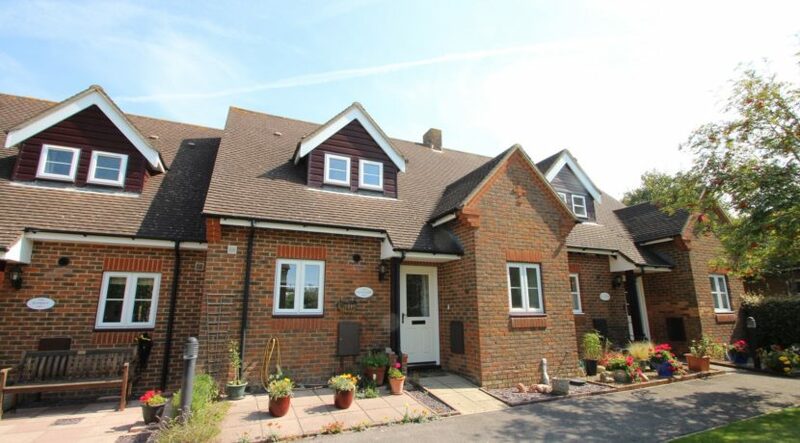 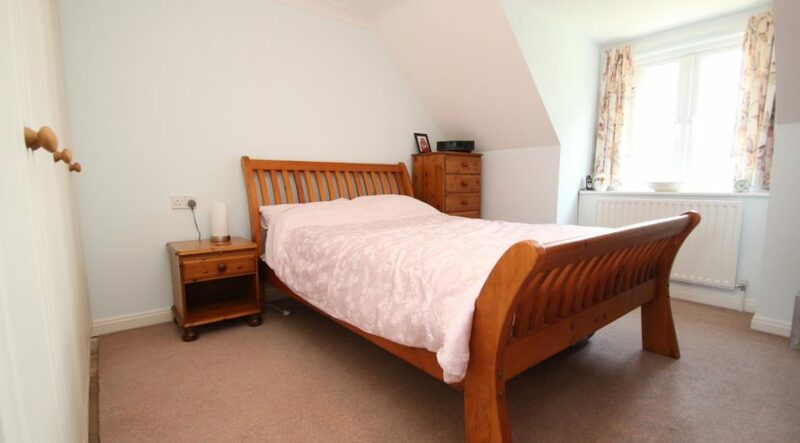 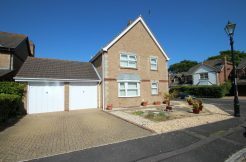 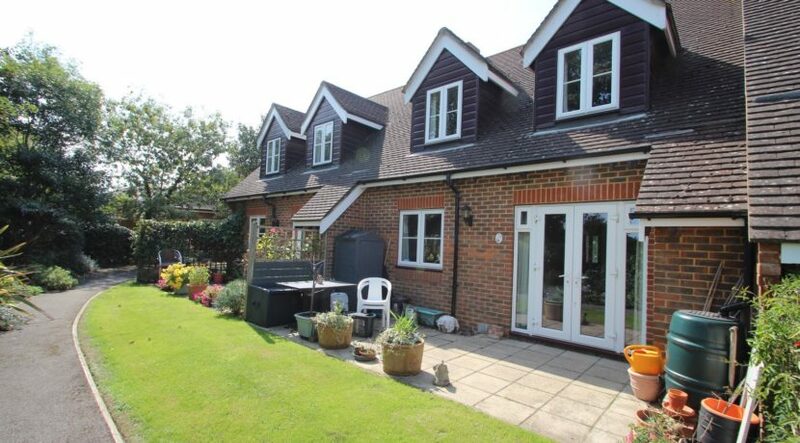 The property comes conveyed with an allocated parking space.